A TACK-DRIVING CROSSBOW UNLIKE ANY OTHER AT ITS PRICE-POINT. IT FINALLY ARRIVED! The crossbow that we have been excited about since the beginning of the year. The TenPoint Crossbows Stealth NXT. 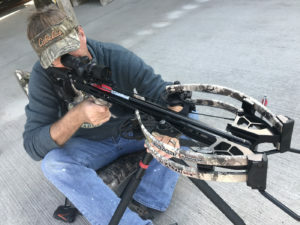 This is TenPoint’s narrowest and most accurate crossbow EVER. It measures an incredible 6-inches wide and the Stealth NXT delivers devastating speeds up to 410 feet-per-second generating an earth-shattering 144-foot pounds of kinetic energy. 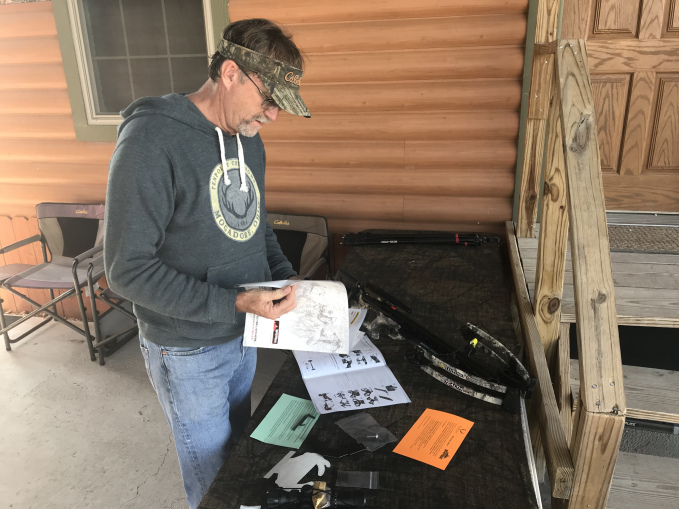 Like all TenPoint Crossbows the Stealth NXT was easy to understand, build, and sight in. The entire process from beginning to end took around 1 hour before I was dialed in to 50 yards. 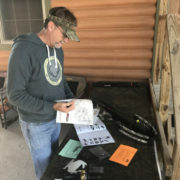 Overall it’s as easy as unboxing, reading the directions, understanding the safety instructions, adding the parts like scopes and such and then you’re ready to start sighting it in. Sighting in the Stealth NXT couldn’t have been easier. The biggest challenge was not hitting the other bolts that you’ve already shot and potentially ruining them since it’s so accurate that your groups are literally touching or close to it! The trigger is smooooth taking less than 4 pounds of pressure to fire! The first time I shot it I was amazed how fast and quickly the bolt disappeared into the target. This is going to open some new hunting opportunities for us as now we can maneuver the thick Texas brush that’s scattered throughout our property. We’re beyond excited! Raising the bar is an understatement with Stealth NXT. It’s easy to carry, compact, silent and when it comes to accuracy it’s right there out of the box.